Nearly 67 years after they fled their homes and crossed into neighboring Lebanon to escape Israeli massacres, the Palestinian refugees still dream of returning home. Although many of those who were born in Palestine have died, their children and grandchildren insist on keeping that dream alive and reject an alternative homeland. Almost all those who sought refuge in Lebanon are from North Palestine, which was occupied by Israeli forces during the 1948 war against the Arabs. “They have not stopped talking about a Palestinian state in the West Bank and Gaza but I am not from there. I am from North Palestine and that is my home. "I still believe that we will return. If not now, tomorrow, after tomorrow or after 100 years. Our right will not be lost,” said Assad Saeed, a 75-year-old Palestinian living in Mieh Mieh, a tiny hilltop refugee camp overlooking the southern Lebanese Mediterranean port of Sidon. “I know that we lost our homes and all Palestine but I don’t think forever,” Saeed’s elder sister, Umm Anwar, said. More than 400,000 Palestinians live in Lebanon, accounting for nearly 10 per cent of the Arab country’s population. Most of them have crossed the border from North Palestine in 1948 when they were kicked out of their homes by Israeli forces. Palestinians in Lebanon still do not know whether they would be involved in any peace deal between their leadership in the occupied territories and Israel. The majority of them have come from Safad, Haifa, Jaffa and other parts of North Palestine while a peace settlement under negations for many years with Israel would deal only with the West Bank and Gaza Strip. On many occasions, Lebanon has adamantly declared it would not allow the settlement of the Palestinians on its territory. The Palestinians themselves are against this idea. “It is true that we live in camps and are expanding our houses for our children and grand-children, but I don’t think any Palestinian will accept the idea of abandoning their land in Palestine and living permanently in Lebanon,” said Abu Imad, an 85-year-old Palestinian with 25 children and grand-children. What makes the Palestinians determined to return home is that they are deprived of most of their rights in Lebanon. They are not allowed to own property or get jobs in the public sector. As a result, most of the Palestinians in Lebanon are unemployed. The situation got even worse after the influx of more than one million Syrians into Lebanon because of the civil war in Syria, making it almost impossible for the Palestinians to find jobs. Most of the Palestinians rely on UN relief aid, low-paid jobs in construction and other sectors, remittances from relatives in the oil-rich Gulf and other countries, and salaries from Palestinian guerrilla factions. The plight of the Palestinians is underscored in Ein Al Helweh camp, just 2km from Sidon. More than 150,000 of them are crammed in that camp, with an area of less than 3sqkm and with poor health and other services. Schools in the nearly 12 Palestinian camps in Lebanon are funded mostly by the UN and the refugees appear to realise that education is the best weapon for their survival and realization of their dream to return to their homes. Many Palestinians in Lebanon boast that they still keep the key of their homes in Palestine, left behind their parents after their death. 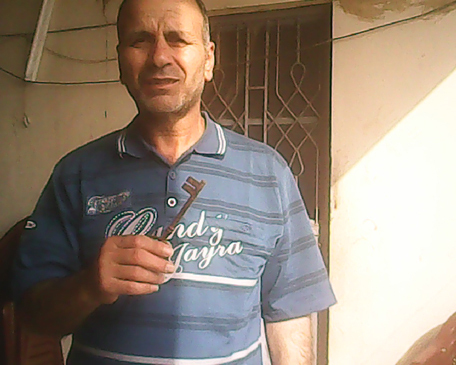 “My father gave me the key to our home in Palestine before his death although we know it has been destroyed by the Israelis. It is rusting but it symbolises our rights. I will keep it until my death. My son then can have it,” said Mahmoud Shehadi, a 55-year-old Palestinian from Mieh Mieh. On many occasions, Palestinian officials and refugees have made clear that they would not accept any alternative home, including settlement in Lebanon. In comments to Western journalists who visited Mieh Mieh a year after the 1948 war, a local leader insisted that Palestine is their only home and declared that Palestinians would not accept even the "White House" as an alternative home. ”I want to go to my home. I will never change this idea no matter what they offer me. 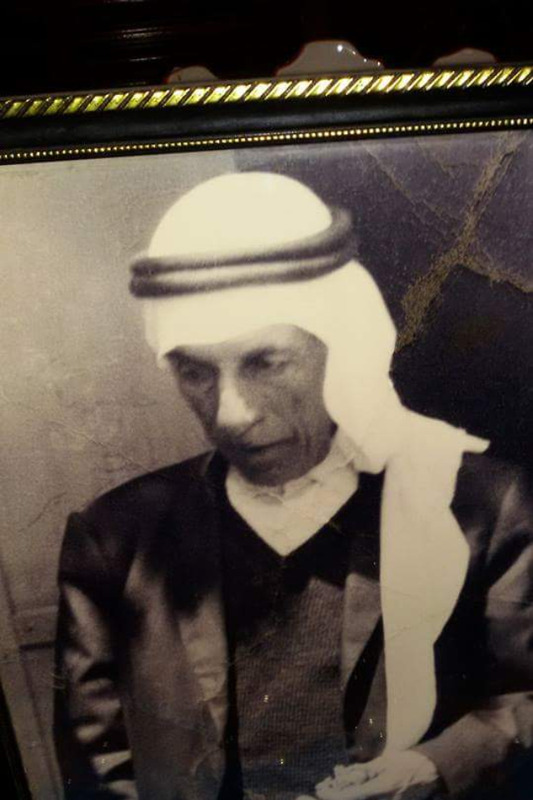 There is no place in the world, not even the US White House, that I would take for my home,” said Saeed Mohammed, known as Abu Fayez, who was mayor of the tiny North Palestinian Mayroun village before his death in Lebanon in 1971.